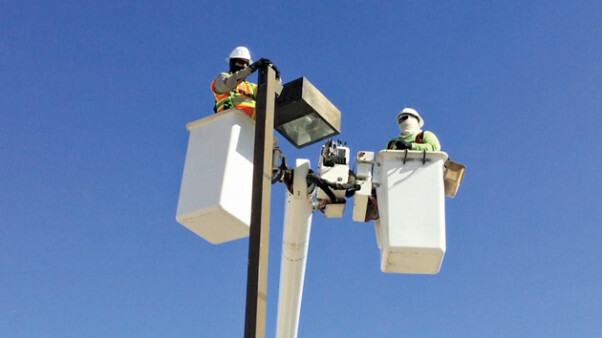 An upcoming planned power outage at Fort Irwin will allow workers to complete the repairs, upgrades and maintenance necessary for ensuring Fort Irwin and the National Training Center have reliable electricity. FORT IRWIN, Calif. — There will be a post-wide power outage Saturday, March 10. 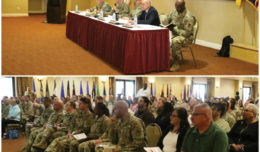 The outage is one of two scheduled each year to complete the repairs, upgrades and maintenance necessary for ensuring Fort Irwin and the National Training Center have reliable electricity. The outage will begin at approximately 6 a.m. and last until approximately 6 p.m. Crews from Southern California Edison, the utility that provides electricity to Fort Irwin, will work on substations and transmission lines throughout the day. The projects help reduce the power system’s vulnerability to strong winds, floods and other stressors that can be exacerbated by deferred maintenance. 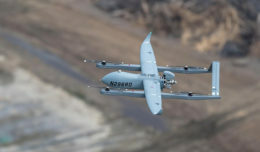 Planned outages also allow Fort Irwin to limit costly interruptions to training rotations and the services Soldiers and their families depend on, according to Chris Woodruff, an engineer with the Fort Irwin Directorate of Public Works. For example, the upcoming outage will occur when no rotational units are training at NTC. Scheduled outages in the spring and fall also aim to take advantage of the desert’s mildest weather and avoid major holidays. 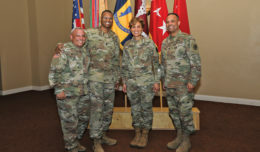 Fort Irwin takes a number of steps to mitigate disruptions to life on post during the planned outages. Critical facilities such as the hospital and water treatment plant will continue to operate using back-up power. Generators are also being fueled and placed at key services. These include the commissary and Post Exchange, the 24-hour Shoppette and fuel station, and some food establishments. A complete list of available facilities and their hours will be posted on the Fort Irwin website. In addition, ice will be issued to residents at the Tiefort View Intermediate School parking lot from 9 a.m. to 2 p.m. on the day of the outage. While a 12-hour window is scheduled for the outage, start and end times can fluctuate slightly depending on conditions, Woodruff said. This is particularly true when power is restored to the grid. Turning everything back on at once can damage the system or present safety issues, so crews gradually build up the amount of electricity, he explained. That means some residents may see their power return before others. Fluctuations in power as electricity is restored can also damage sensitive electronics, so it is important for residents and workers to unplug valuable items ahead of the outage. More details about the upcoming outage will be posted on the Fort Irwin website, http://www.irwin.army.mil/, and social media outlets.